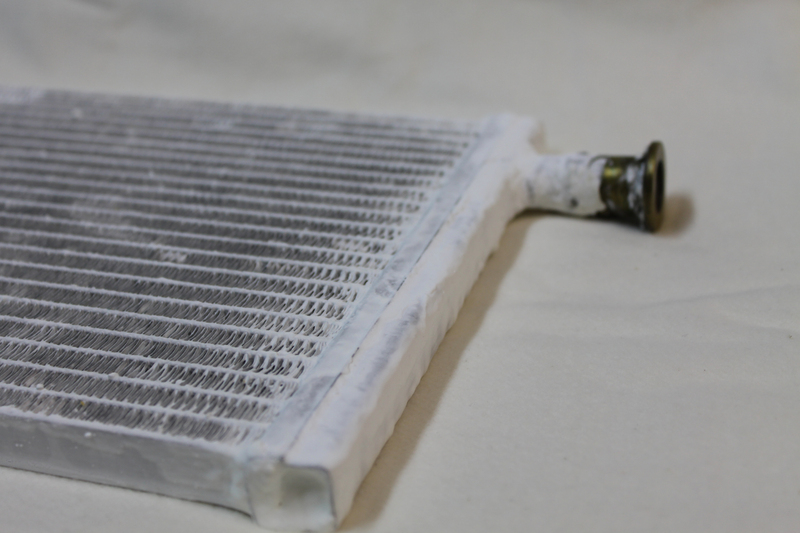 Cooling devices are considered to be power guzzlers, in which polluting refrigerants are still used, even after the ban on chlorofluorocarbons (CFCs). An environmentally friendly alternative are systems which use water instead. In the large pores of the material’s framework structure , it can absorb and release water molecules highly efficiently. For their tests, the scientists coated a conventional heat exchanger with the new material, in cooperation with colleagues from the Fraunhofer Institute for Solar Energy Systems. A research team at the Institute of Inorganic Chemistry at Kiel University, together with the Fraunhofer Institute for Solar Energy Systems ISE in Freiburg, has developed a highly-porous material, with which these cooling systems can be operated using less electrical energy than before. Previously-unused waste heat, e.g. from district heating systems, data centres, or heat from solar thermal collectors could be used for that. The results have been published recently in the journal Advanced Materials. Data centres in particular are real energy factories: as a side-effect of their operations, high-performance computers produce a lot of heat, and must therefore be cooled continuously. As such, they cause high energy and power costs, while giving off unused waste heat to the environment at the same time – its temperature is too low for other uses. Theoretically, however, this could be used for running energy-efficient cooling systems, which use water as a refrigerant (so called adsorption-driven chillers). To do so, the material used there must be able to absorb a lot of water and regenerate at the lowest possible temperatures. The porous material, developed by Professor Norbert Stock from the Institute of Inorganic Chemistry and his working group, fulfils these requirements. This way parts of the cooling process of adsorption-driven chillers can be operated using only the energy from existing waste heat or solar thermal systems. "This could also make an important contribution to the use of renewable energies," said Stock. For environmentally friendly systems like this the material has two key advantages: "The systems consume less power, and we can produce the material in an eco-friendly manner," explained the inorganic chemist. Sorbents used in cooling systems are usually crystalline zeolites or silica gels, which can easily absorb water due to their structure. The research team’s material exhibits particularly good sorption properties: it can absorb a lot of water very quickly, and also release it quickly again - even at a low increase in temperature. The material is thus quickly ready for use again. "This is made possible by the optimal size of the pores in the material, and its perfect interaction with the water molecules," explained Stock. 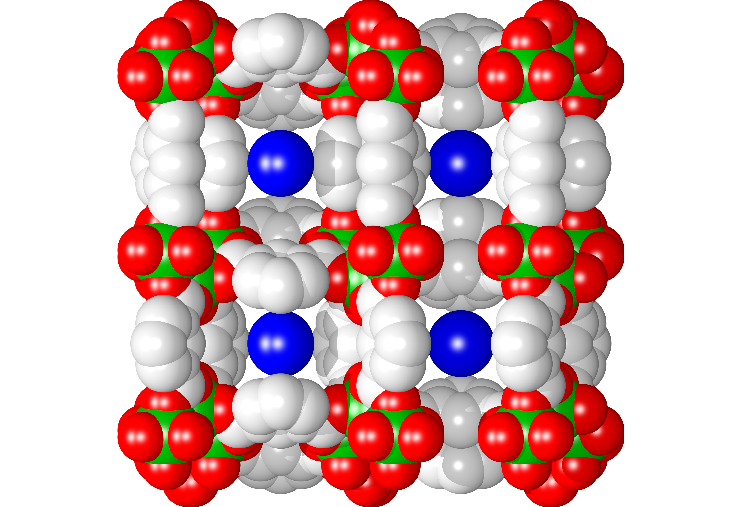 The highly-porous crystal structure of "CAU-10-H" - which is the official name of the material, named after development location, version number and the abbreviation of hydrogen - is an example of a metal organic framework (MOF). They have been tested in a wide range of areas of application in recent years. The Kiel working group has already been pursuing the discovery of new MOFs for a long time - but previously only as pure fundamental research. For transfer to an industrial application, they worked with colleagues from the Fraunhofer ISE to coat commercially available heat exchangers with their material. "The survey of the heat exchanger under application-related conditions shows the high potential of the material" said Dr Stefan Henninger from the ISE. In the laboratory, the material can already be produced in kilogramme quantities under mild reaction conditions, i.e. at a temperature of 100°C with water as a solvent ("green synthesis"). "In order to produce the material for an industrial use on a larger scale, our next step is to contact other companies," said Stock. They have already applied for a patent for their production method. 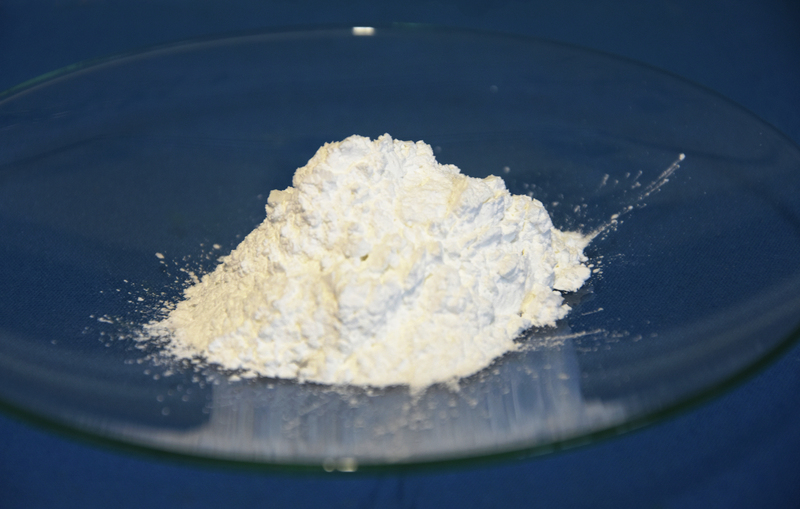 Caption: With their newly-developed material called "CAU-10-H", shown here in powder form, the Kiel research team aims to make cooling systems more efficient.